When I was a child, I frequently fought with my younger brother. I’m not talking about play battles, I mean we were trying to destroy each other. My parents had tried to make us stop, to no avail. One night, amid World War 3, my mother made a startling announcement: she and our father had decided they were going to leave us and never come back. My siblings and I shrieked and wailed as they stalked out the door. Within seconds, the feeling of dread was overwhelming. As the oldest, the burden of feeding and educating the others probably fell on me, and it was a burden I had no hope of carrying. I threw open the sliding glass door and plunged into the unforgiving night. On the back patio, I screamed their names, fairly certain they could not hear me and that I’d never hear their voices again. When I went back in, my parents were there, consoling my brothers and sister, saying they would never leave us. Looking back, I do not fault my parents for what happened that night. Parenting is a tough thing to do. It doesn’t come with a manual, and half the time it’s like making your way through a pitch black room littered with Legos. Besides, we are all fallible human beings. What I cannot excuse, however, is a god who abandons his children. A year ago I sat down with an LDS coworker who told me he couldn’t even visit a church that taught that God sends people to hell forever. This was exactly the sentiment I had felt as a Mormon, and it’s probably the way most Latter-day Saints see it too. 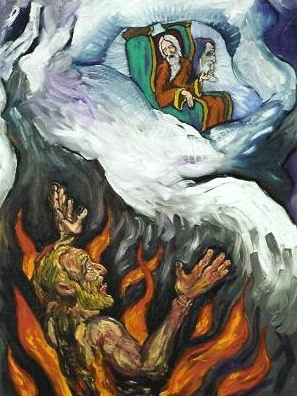 A God who thrusts people to eternal hell just doesn’t seem merciful. I’ll be the first to admit that hell is a harsh punishment in Protestant Christianity, but it’s even harsher in Mormonism, where God sends his own children there. According to Mormonism, every person on the face of the planet is literally the offspring of God. This of course, stands in opposition to orthodox Christianity where only saved believers are His children. God is believed to be omniscient and omnipotent; a being who loves everyone perfectly. Yet despite this, in Mormonism, only a small percentage of God’s children will have the chance to live with him in eternity. 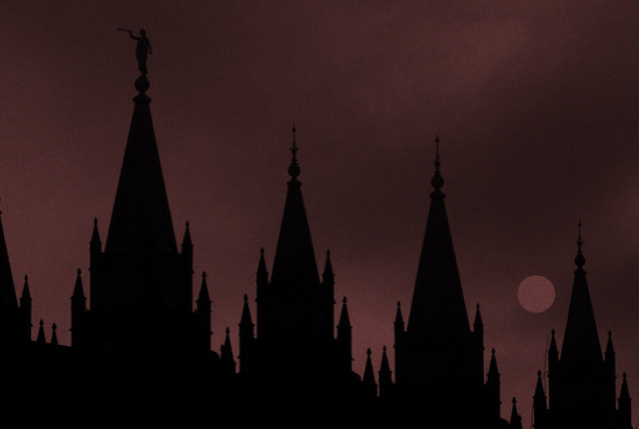 Mormons do try to soften the blow of this by espousing a belief in three levels of heaven. 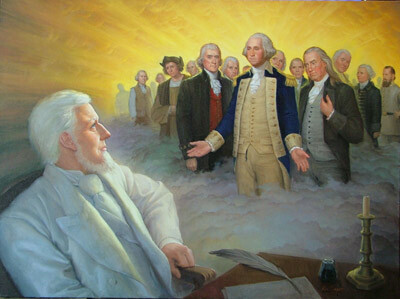 Even though Heavenly Father only resides in the highest kingdom, and only the most righteous people will go there, they believe virtually all mankind will go to at least some degree of heaven. The lowest level, the Telestial world, is thought to be so beautiful that if we could see it, we would kill ourselves to get there. In the LDS mindset, this is far more merciful than being sent to a place of fire and torment. But is it? Elder Holland, an apostle of the LDS church, once said, “I wouldn’t know how to speak of heaven without my wife and my children. It would not be heaven for me” (Temple Open House video – click here to view). This is exactly how Christians view any place devoid of God the Father, it would not be heaven for us. Well guess what folks, in Mormonism eternal families and fellowship with Heavenly Father are both restricted to the Celestial Kingdom alone. So ask yourselves, is a beautiful world where the Father does not come, really heaven? And is it really less painful than a hell made of fire and brimstone? 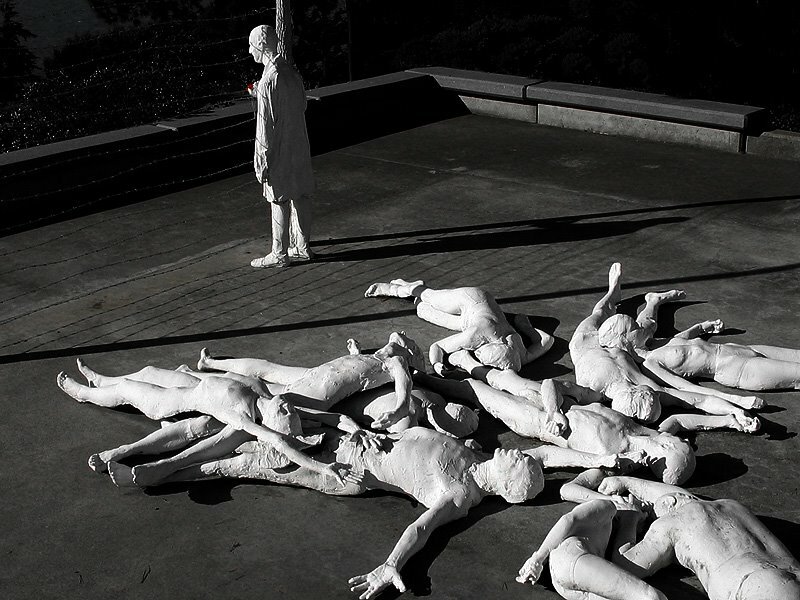 Whether literal or metaphorical, The Book of Mormon describes the suffering God’s children will endure after the final judgment in Alma 12:16-18. And now behold, I say unto you then cometh a death, even a second death, which is a spiritual death; then is a time that whosoever dieth in his sins, as to a temporal death, shall also die a spiritual death; yea, he shall die as to things pertaining to righteousness. Then is the time when their torments shall be as a lake of fire and brimstone, whose flame ascendeth up forever and ever; and then is the time that they shall be chained down to an everlasting destruction, according to the power and captivity of Satan, he having subjected them to his will. Then, I say unto you, they shall be as though there had been no redemption made; for they cannot be redeemed according to God’s justice; and they cannot die, seeing there is no more corruption. Latter-day Saints may argue that this is a temporary “everlasting destruction” or it’s only talking about the few who go to Outer Darkness with Satan and his angels, but either way it’s a moot point. In Mormonism these are God’s children who are being abandoned, and left chained by the power of the devil. At least the Mormon god is consistent. 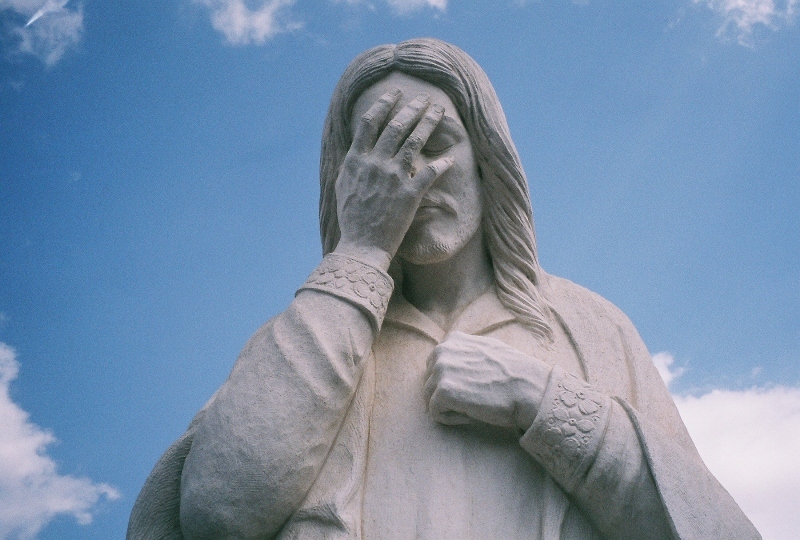 Assuming that humanity does comprise God’s children, Jesus’ words to the Pharisees are incredibly harsh in John 8:42 where he denounces their heritage, “If God were your Father, you would love me…” In verse 44 he goes on to say their father is none other than the devil. Mormon doctrine also teaches that the Holy Ghost abandons us when we break the commandments, leaving us in the very teeth of sin when we need him the most. I would expect this kind of behavior from a teenage girl. I would not expect it from the highest being in the universe, the Alpha and the Omega. In 1 John 4:8 we learn that God is love. I’m not talking about the “love” Mormons attribute to him: where he lovingly abandons his children to hell and puts the blame on their shoulders, I’m talking about a noble kind of love. This love is described in 1 Corinthians 13:4-7 (NIV). It is not wrong for Latter-day Saints to struggle with the justice of God and the eternal nature of hell. It is, however, hypocritical to cast stones at Christianity while excusing the problems in their own theology. As for me, I cannot even visit a church that teaches God sends his own children to hell. 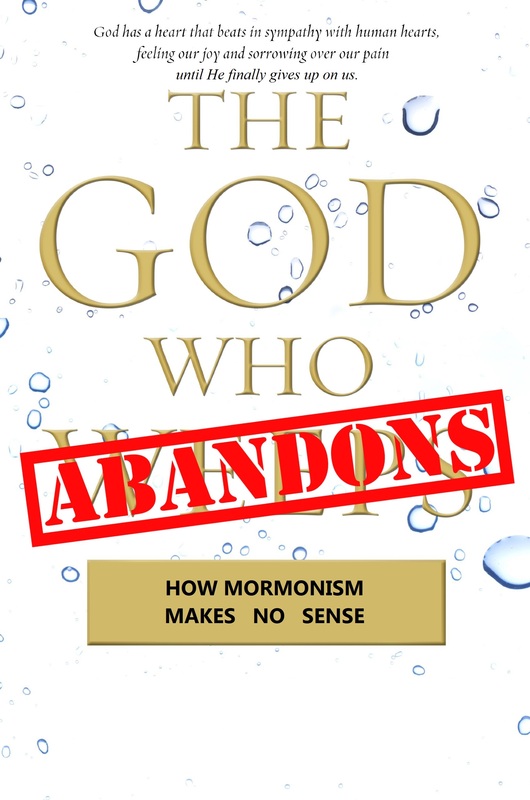 A satirical take on a popular Neo-Orthodox Mormon bestseller. By “conspiracy theory” I mean: an explanation that typically requires orchestration between multiple malicious parties and many involved parties keeping it a secret. They are unlikely because of the high probability of a whistle blower and the low probability that evil takes the form of competent orchestration. They are tempting because they are thrilling, fascinating, fear-inducing, or useful for maligning those we oppose. 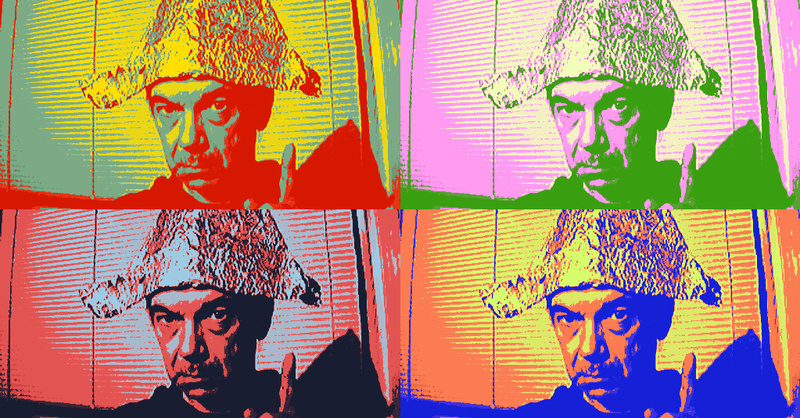 People who believe in some conspiracy theories tend to believe in other conspiracy theories. In other words, it’s a mindset that is given over to conspiracy theories. The mindset of conspiracy theories is a tax on the poor: a distracting, enslaving attitude that makes one ironically more of a tool of unjust power structures. Consider the lottery as an analogy: It titillates our imagination over what is possible, not over what is actionably probable. People end up wasting time, money, emotions, and imagination on it. Conspiracy theories often abuse plausible deniability: “I’m not saying this thing is true, I’m just saying it might be true!” Being suggestive avoids accountability one should own when spreading false reports. Conspiracy theories tend to be associated with bad influences, exploitative false teachers, junk science, and Multi-Level Marketing schemes (MLMs) that make false promises of health. Good, vetted, reliable, discerning, experienced, faithful teachers of the word are not prone to conspiracy theories. Conspiracy theories are most commonly spread through sources and venues (the diarrhea of talk radio and social media) not known having a good reputation for reliability and truth. Conspiracy theories don’t have a good track record of being proven true. Conspiracy theories often evoke gnostic arrogance, a sense of special, privileged knowledge that an inner group has. Conspiracy theories often involve a fascination with the secret sins of others. Spreading or needlessly entertaining conspiracy theories causes Christians to lose credibility — to lose saltiness with people who otherwise have their curious ear turned toward people of the church, which is supposed to be “the pillar and foundation of the truth” (1 Timothy 3:15). Conspiracy theories pervert our ability to see human depravity clearly. When we demonize people we oversimplify or underestimate the subtlety of what makes people evil. Let me repeat: Demonizing people makes you less knowledgeable about the true nature of their depravity. Conspiracy theories tend to under-appreciate God’s common grace to humanity. Both of these are probably true: Your neighbor is condemned by God and needs forgiveness. Your neighbor loves his kids and takes pride in his work. 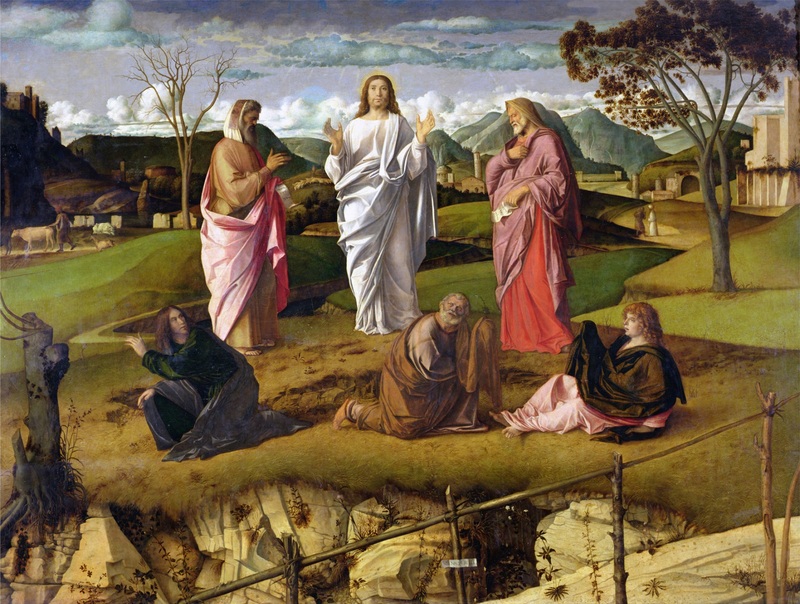 Conspiracy theories consider the resurrection of Jesus Christ less plausible, entertaining the possibility that the apostles colluded and collectively lied about seeing the risen Christ. Please, for the love of God, don’t waste your life on conspiracy theories. Recognize your carnal flesh: it loves to demonize your neighbor, it loves “evil suspicions”, it is tickled by what is “possible”, it loves to be intellectually lazy, it delights in suggestive slander, it loves to be entertained by gossip, and it avoids accountability. No! Invest yourself in dignifying work. Lead with risk-management that prioritizes probabilities over mere possibilities. Get “distracted” by far more worthy endeavors and causes and trains of thought. Your time on earth is short. Your window of influence is temporary. Flex the muscle of your imagination on something glorious. Aaron Shafovaloff is an elder at The Mission Church in South Jordan, UT, volunteer with Mormonism Research Ministry, regular evangelist at Temple Square, founder of Theopedia, full-time computer programmer, daily sinner, father of three, and husband of one. Originally published on the “I Am Aaron Shafovaloff” website on November 5, 2016. Republished with the kind permission of the author. 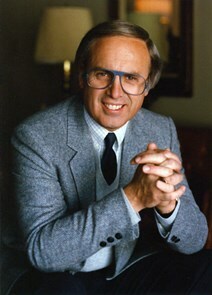 Author: John F. MacArthur, Jr. 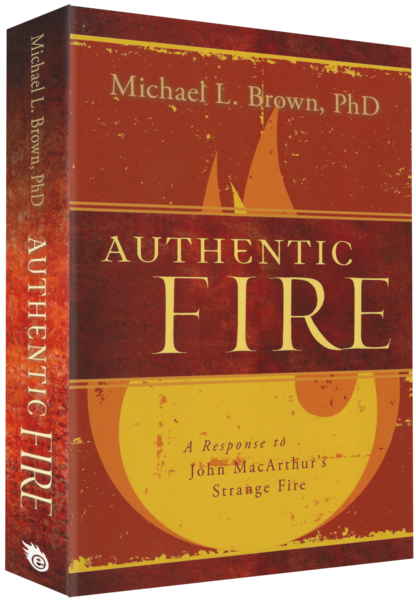 Within the worldwide charismatic movement, there are no doubt instances of weird, inappropriate, and outrageous phenomena, perhaps including some of the things MacArthur saw on TBN [the Trinity Broadcasting Network]. Many Pentecostal leaders themselves acknowledge as much. But to discredit the entire charismatic movement as demon-inspired because of the frenzied excess into which some of its members have fallen is both myopic and irresponsible. It would be like condemning the entire Catholic Church because some of its priests are proven pedophiles, or like smearing all Baptist Christians because of the antics of the Westboro Baptist Church. 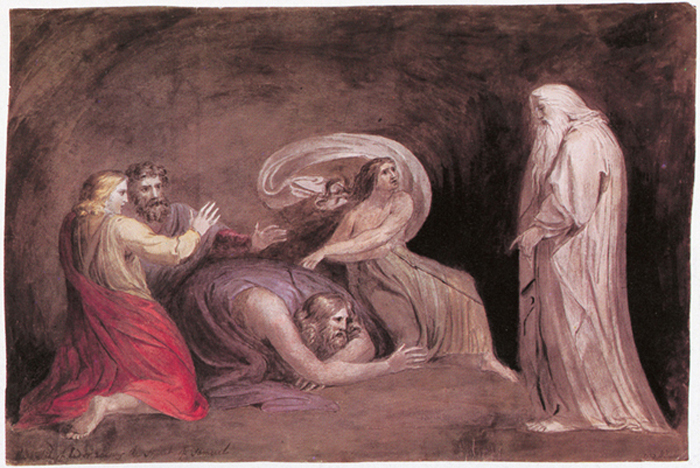 When told that his all-charismatics-are-outside-the-pale approach was damaging the Body of Christ because he was attacking his brothers and sisters in the Lord, MacArthur responded that he “wished he could affirm that.” This is a new version of extra ecclesiam nulla salus—except that the ecclesia here is not the one, holy, catholic, and apostolic church but rather an exclusively non-charismatic one. I’ve been Charismatic since 1976 so this book brings back memories good and bad. What’s addressed here is as much a part of my personal history as they are threads in the tapestry of Christian church history as a whole. However, like MacArthur, I was more an observer than a direct participant. The reason for that is simple: The movements, places, and personalities that MacArthur criticizes (often rightly) in this work were all considered on the lunatic fringe back in the day. We moderate, theologically conservative, Charismatics avoided the likes of Oral Roberts, Kathryn Kuhlman, and the first generation TBN crowd then just as surely as we avoid Benny Hinn, Joel Osteen, Creflo Dollar and new generation TBN crowd today. 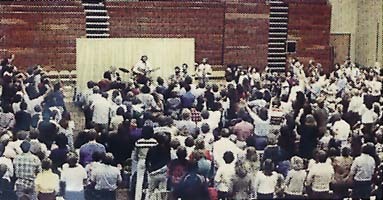 Calvary Chapel Yorba Linda (California) in the late 1970’s. This congregation later left Calvary Chapel and became the first Vineyard Church. Granted, both of these examples are bizarre. Perhaps it unfair to characterize the Charismatic movement with illustrations like these. I wish that were true. I wish these two examples are rare, but they are not. And the reason they are not is that in the Charismatic ranks no experience has to stand the test of Scripture. The Charismatics, by the nature of their theological persuasion, have no way to judge or stop bizarre testimonies of experience because the experience validates itself. Instead of checking someone’s experience against the Bible for validity, the Charismatic tries to get the Bible to fit the experience, or, failing that, he just ignores the Bible. The more sure word of prophecy comes from the inspired writings of the canonical books of both the Old and New Testaments, which should be our guiding light for life (2 Peter 1:19-21) and by which all prophetic utterances should be judged. If the prophetic word or supernatural vision doesn’t go against the scriptures, then we still need to pray and get a witness from the Lord in our spirit as well as get counsel from mature leaders as to whether this specific prophetic word or vision is really specific guidance from Him. 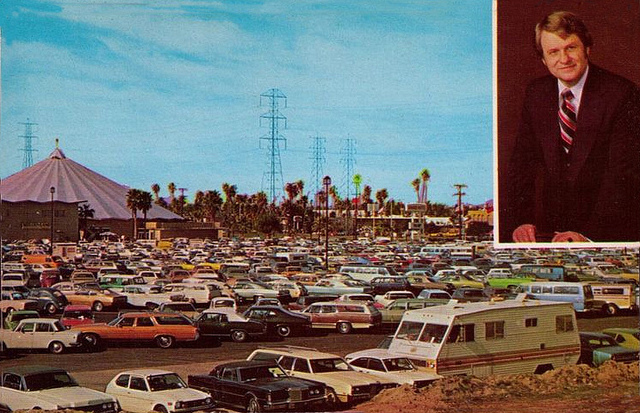 A period photograph of Melodyland Christian Center, Anaheim, CA. The inset is of Pastor Ralph Wilkerson. This church was ground zero for much of the good and the bad that went on in the Charismatic Movement during this period. Well, Mr. MacArthur, I’m sure that I’m not the first to say, “That is utter nonsense!” and I’m sure that I won’t be the last. This is a complete caricature of how I and most Charismatics that I know treat prophecy, dreams, and visions. Rather, Mr. MacArthur, it’s quite simple: If any new revelation, dream, or vision contradicts the Bible it is promptly and completely thrown out as illegitimate. Period. Always has been, always will be. 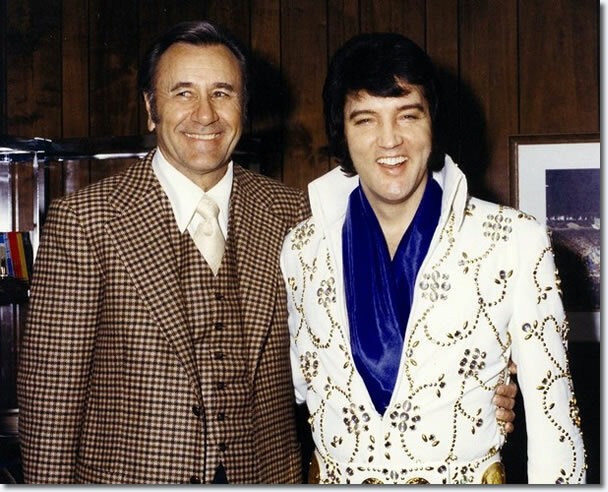 Faith healer Oral Roberts and Elvis Presley circa 1974. You can’t get more “70’s” than this folks! Why is this a problem? Do you believe the Bible is authoritative or don’t you sir? If so, then why do you disobey the apostolic injunction that clearly states: “Do not quench the Spirit. Do not despise prophecies. Test all things; hold fast what is good.” (1 Thessalonians 5:19-21, NKJV) Was Luke errant in recording Agabus’ words and behavior as a model for New Testament ecclesiology? Was Paul negligent in not reproving Luke and Agabus for their folly? And was Paul a fool for admonishing the Thessalonians to continue in the error of Agabus? “Today, with their emphasis on experience, many in the Charismatic movement are perilously close to a type of neo-Baalism! I think that Mr. Patton is right – and it breaks my heart. I love John MacArthur’s body of work. Some of the greatest sermons and best Bible exposition I’ve ever heard have come from his pulpit. And even though I disagree with him in part, I absolutely adore my MacArthur Study Bible for the deep insight and into the biblical text that it contains – it is my “go to” commentary. John MacArthur is not only not my enemy but I consider him a valued ally in preaching the gospel, proclaiming truth, and bringing glory to God alone. Yet here we are 39-years and two more books later and Mr. MacArthur’s loveless Anti-Charismatic blindness has gotten worse, not better. So despite my respect and admiration for Mr. MacArthur, I suspect, based on the tone of the three highly polemic works that I have read alone, that he couldn’t bring himself to say anything good about me – or think that I have anything of value to add to any conversation – simply because I’m a Charismatic. While he isn’t my enemy I suspect that in his mind I am his. Folks, that’s just sad, isn’t it? And the fact remains that this subject seems to be an obsession for Mr. MacArthur. So in another decade or so we can fully expect to see another work from him on the Charismatic movement. I will be praying that between now and then things will change for him (not unlike the Grinch growing a heart) and his stance will at least soften to at least a point of respectful tolerance. Yes, it will take a miracle but we serve a great God – and one who still speaks moves and performs miracles today. 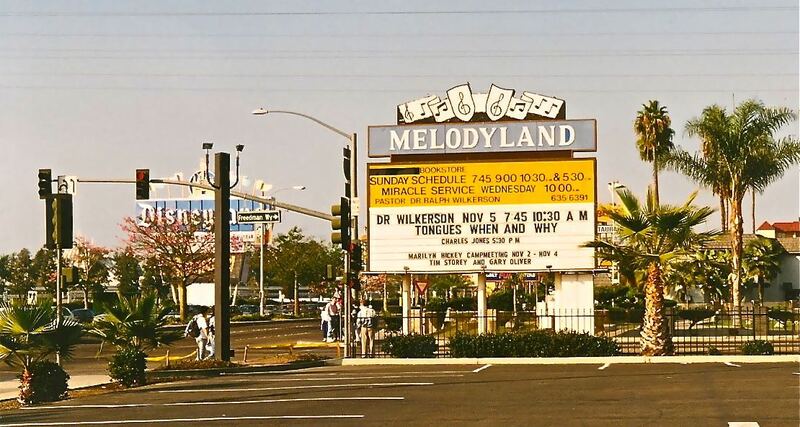 The Melodyland Christian Center (Anaheim, CA) Marque from the late 1970’s. “In defense of Pentecostals, it should be observed that although they have tended to arrive at the biblical norm by way of experience, they are not alone in establishing norms on the basis of historical precedent rather than on the explicit teaching of Scripture. The practice of infant baptism and the theology of its necessity are based first of all on the exegesis of some historical passages in Acts and one in 1 Corinthians (7: 14); they are made normative on the basis of the historical precedent. 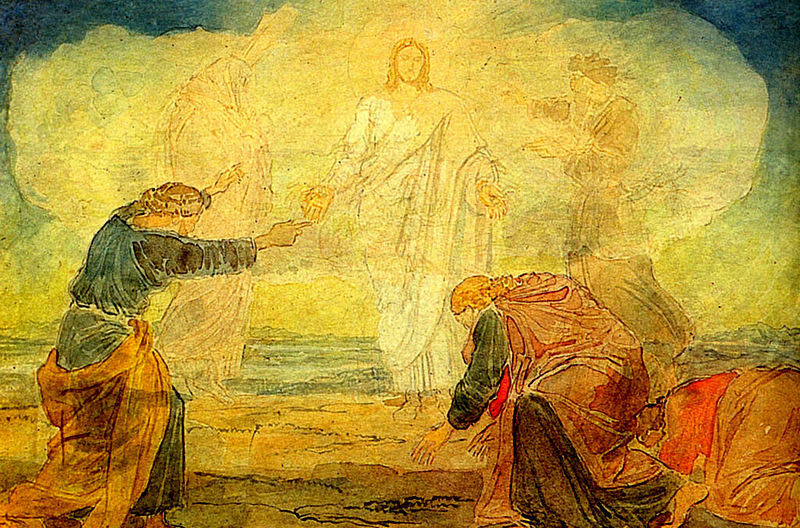 (Roman Catholic theologians would prefer the word “tradition.”) The Baptists’ insistence on baptism by immersion is based on no clear statement of Scripture, but rather on the exegesis of certain passages (including word study: “to baptize” = “to immerse”) and historical precedent. The partaking of the Lord’s Supper every Sunday is required by some Christians on the basis of historical precedent (Acts 20: 7). Likewise, on the basis of Acts 2: 44– 45 some groups in the Jesus-movement required the selling of possessions and having all things in common. Even such fringe groups as the snake-handlers argue for their distinctive practices partly on the basis of historical precedent (Acts 28: 3– 6). 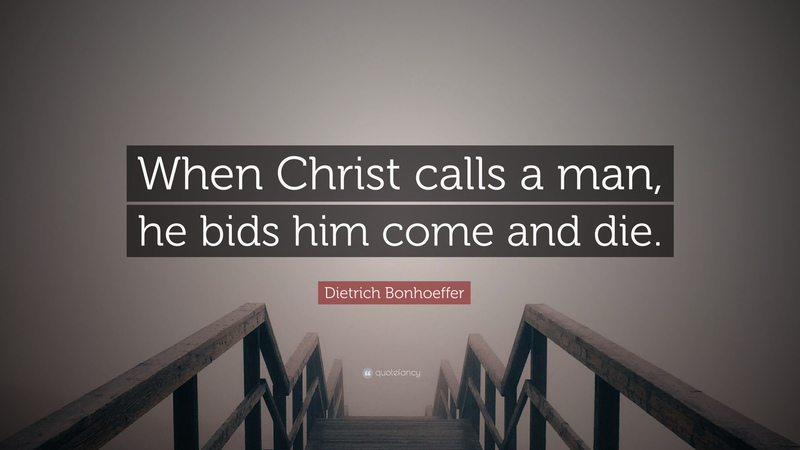 Did you notice how Mr. MacArthur has taken a passage that explicitly indicts both cessationists and continuationists for hermenuetics that are ultimately rooted and grounded in experience first bias and data mines it? Specifically he cites only the content that suit his agenda in an out of context manner so that it appears to be an indictment of Charismatics alone when that’s simply not the case. …you knew that these authors were Mormon converts when you dishonestly tried to pass them off as Charismatic Christians didn’t you? So, in a similar manner Mr. MacArthur, no matter how many times you attempt to count the Datskos as Charismatic Christians, zero plus zero still equals zero. Finally, as Kathy Datsko stated plainly in her February 2013 comment, and as I have repeatedly observed myself, Latter-day Saints have absolutely no interest in Pentecostalism and stay as far away from it as possible – they treat it like kryptonite. 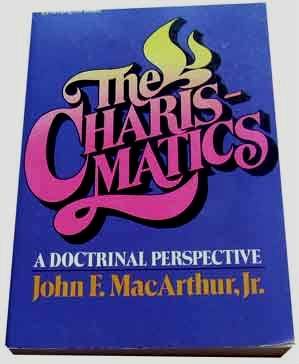 So in the end Mr. MacArthur your evidence that mainstream Charismatics Christians are seeking closer ecumenical ties with Charismatic Mormons isn’t just exaggerated, it’s non-existent. And apparently, if that means using unethical tactics like data mined propaganda generation, then so be it.